You’re almost there! Check out these finals week announcements! In February of 2003, a much younger Barack Obama rose before the Illinois State Senate to introduce a new piece of legislation that, he said, contained a compromise. The bill would help job-seekers who had long ago been convicted of a nonviolent crime (or two, at most) overcome the barriers to employment that came with having a criminal history. But the bill would do so withoutexpunging their records. Instead, Obama’s bill would create a final, years-later stage on the timeline of these ex-offenders’ cases. They had already completed the stages of arrest, booking, indictment, plea bargaining or trial, sentencing, incarceration and/or probation. Now, ex-felons who had stayed crime-free for a few years would be eligible to come back to court and, in a full-blown hearing before a judge, attempt to “prove” that they had been rehabilitated. Any ex-offender who succeeded in doing so, Obama announced, would be granted one of two new legal documents, the Certificate of Good Conduct or the Certificate of Relief from Disabilities. The certificate would represent an official assurance to employers – though, again, short of full expungement – that the ex-offender should no longer be judged for his or her crimes. More concretely, the good conduct certificate would make the ex-offender eligible for a range of municipal jobs, including in the public schools, the transit system, and the parks; the certificate of relief would remove barriers to a range of licenses, from real estate to barbering, cosmetology, and mortician’s licenses. Finally, any private employer who hired the now officially rehabilitated ex-offender would be insulated from liability suits claiming negligent hiring. Continue reading here. Climate Change: tackling the greatest human rights challenge of our time, a joint report with Center for International and Environmental Law and CARE International, details how climate change is not only an environmental issue but also an issue of justice and inequality. For the millions of people and communities around the world who are already experiencing climate harms, and for future generations who will suffer increasingly severe loss and damage, urgent action is required at all levels to minimize and halt the impacts of climate change. These climate change impacts – as well as the responses taken to address climate change – are already affecting people’s human rights. The report provides an overview of the human rights implications of climate change as well as the obligations of States to protect human rights in relation to climate change. In particular, the report explores how human rights can, and must, be integrated in the UN climate agreement to be adopted at the end of the year in Paris. Read the full report here. Applications are now being accepted for the Mary Ellen Krug Scholarship Award. The Mary Ellen Krug Scholarship honors the memory of one of our most outstanding graduates. Ms. Krug’s character and success are indicated by her selection in 1984 as a Distinguished Alumna of the School of Law, her election as chair of the Labor Law Section of the American Bar Association and the inclusion of her name in her firm’s title: Schweppe, Krug and Tausend. 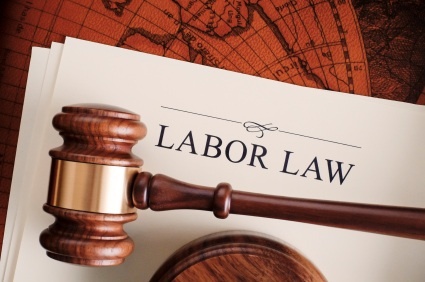 An award will be made to a third-year (3L) student(s) who have demonstrated both an interest and proficiency in the fields of labor and employment law and related subjects. The amount of the award(s) will be determined (approximately $8,000 total). Recipient(s) will be selected upon the recommendation of faculty members teaching labor and employment law. Applications should include: (1) a cover letter explaining the applicant’s qualifications; (2) a resume; and (3) two letters of recommendations (preferably faculty members). All application materials including the letters of recommendation must be sent to William H. Gates Hall Room 231 (Office of Admissions & Financial Aid) or in the alternative to: lawadm@uw.edu no later than 5PM PST on April 13, 2015. What did Congress do to fight poverty in 2014? Despite the economic recovery, 45 million Americans currently live in poverty, and millions more are only one paycheck away from joining them. Yet Congress enacted only two bills in 2014 that will significantly improve the lives and opportunities of poor Americans. The Shriver Center’s 2014 Poverty Scorecard, released today, reports on how each member of Congress voted on the most important poverty-related legislation considered during the session. The votes selected cover a wide range of subject areas important to low-income people, including housing, employment, health care, and education. Each member is assigned a letter grade (A+ to F-) based on his or her votes. The Poverty Scorecard allows voters to hold their representatives accountable for their action or inaction to address poverty. Learn more at povertyscorecard.org.